Last weekend your Go Goodwins, Manchester Storm faced Patton Conference rivals, MK Lightning at home for the second time this season. Despite having some players sitting out, Storm managed to come out victorious, taking the two points in regular time. It was a spectacular night for certain players, with MOTM, Brendan Brooks taking four points in assists, Evan Richardson claiming four points and defenceman, Ruopp scoring his first of the season. The game was exciting with a total of seven goals and 68 penalty minutes. GUILDFORD FLAMES – SATURDAY 17TH NOVEMBER, 19:00 FACE-OFF, PLANET ICE ALTRINCHAM. This weekend sees two more EIHL Patton Conference games, as the Storm face Guildford Flames in a double header, and continue their campaign to defend the Patton Conference trophy. Having only facing each other once this season so far, it’s now Flames turn to visit the Storm Shelter. Being the new guys in the league last season, alongside MK Lightning, Flames finished 5th in the league table and currently hold that same position, just under Cardiff Devils. Head Coach, Paul Dixon acquired a few fresh faces to the EIHL in the Summer. Newcomers include Canadian defenceman – Jordan Abt, who joins from ECHL team, Norfolk Admirals, American forward – Evan Ritt and Canadian forward – T.J Foster. New to the team but not the EIHL include the likes of netminder, Travis Fullerton, Swedish all-rounder Erik Lindhagen and Canadian forward, Kevin King. After last month’s game away in Guildford held numerous incidents, resulting in a total of five game suspensions for the Storm via DOPS, tonight’s game is not one to be missed! One to Watch: T.J Foster, 48 points in 45 games last season for Norwegian team, Frisk Asker. 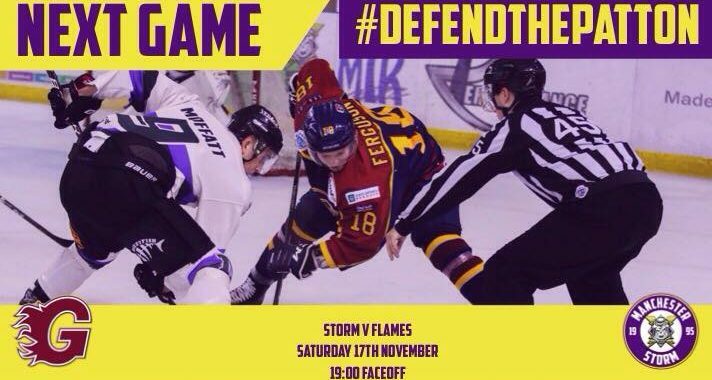 GUILDFORD FLAMES – SUNDAY 18TH NOVEMBER, 18:00 FACE-OFF, GUILDFORD SPECTRUM. This Sunday, the Storm travel down to face Flames for the third time this season, away at the Guildford Spectrum Centre. 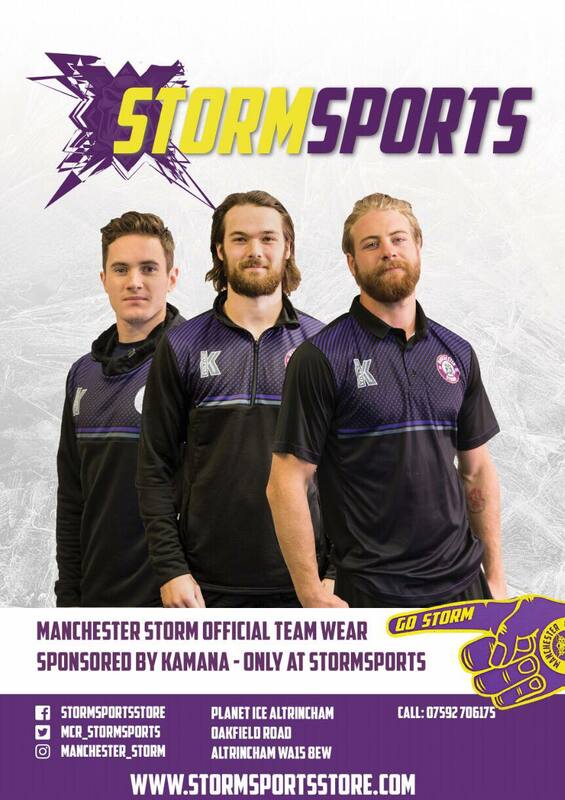 The club’s OSC are hosting the Storm’s Christmas Party, Tuesday 18th December at Cresta Court Hotel, 19:00 – late. Email [email protected] to book, or visit the OSC desk under block 113 on match nights.